Celebrate your learners’ success with Catch Up® certificates! 4th October 2016 - Celebrate your learners’ success with Catch Up® certificates! We are pleased to let you know that we have now added a new set of Catch Up® certificates to the logged-in area of the Catch Up® website! There are bronze, silver and gold award certificates for both Literacy and Numeracy. 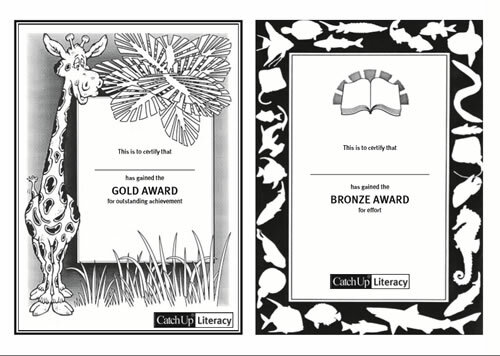 You can award learners bronze, for effort, silver, for progress, or gold, for outstanding achievement! Each has two sets of designs, so there is something suitable for younger or older learners. Download and print them today! We hope you enjoy using them and giving them out to your learners!